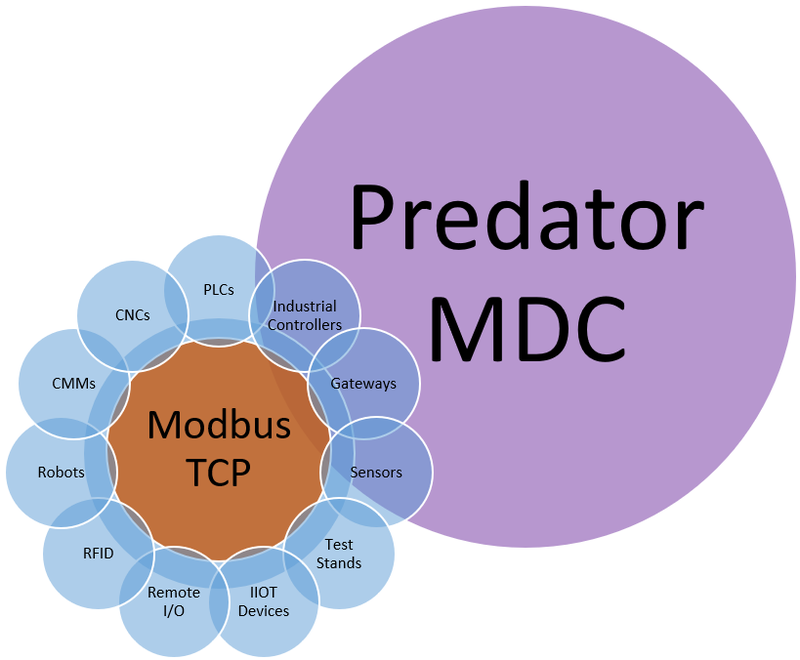 Why use Predator MDC with Modbus? 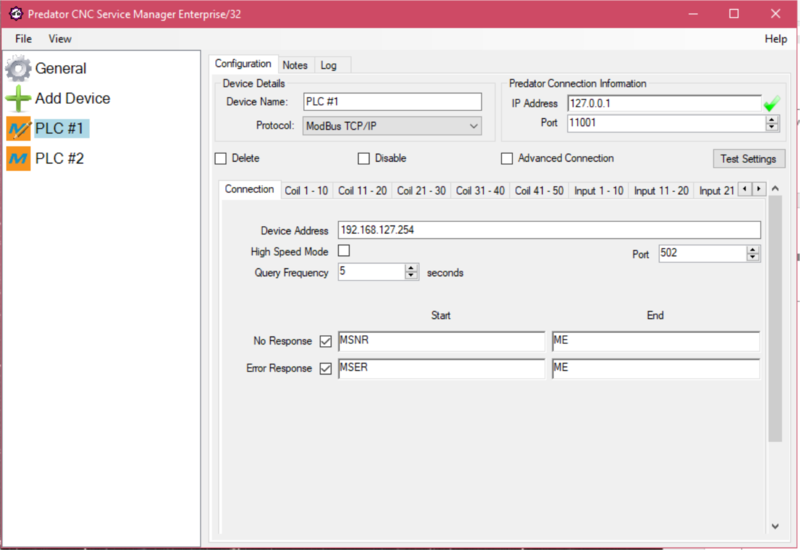 Modbus TCP support is included with the purchase of Predator MDC. Leverage the power of Modbus TCP with Predator CNC Service to provide intelligent software based machine monitoring via an Ethernet interface. Predator CNC Service supports machine operation modes, cycle counters and more for all makes and models of Modbus enabled PLCs, industrial controllers, gateways, CMMs, CNC machines, robots, RFID, IIOT devices, remote I/O, sensors, test stands and other industrial equipment. NOTE: Predator MDC supports Modbus TCP via Ethernet. Modbus support or configuration may have to be purchased from the PLC manufacturer, robot builder, machine tool builder or machine tool distributor. When ever possible existing Modbus TCP options will be used. What is the largest Modbus address supported by Predator CNC Service? 99,999. Predator CNC Service supports up to 5 digit Modbus addressing for coils, inputs, input registers and holding registers. How many Modbus based devices are supported by Predator CNC Service? Predator CNC Service supports up to 4,096 Modbus devices per PC.